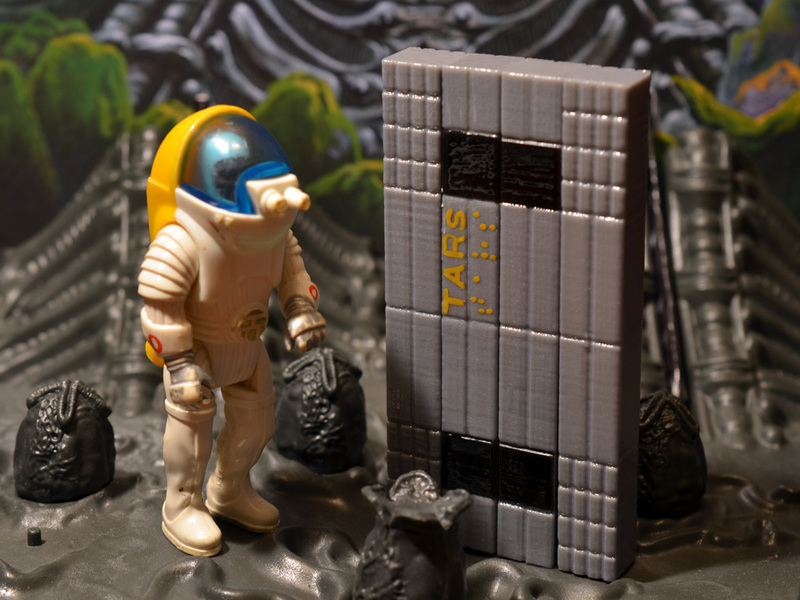 This ‘Vintage Style’ TARS was the test figure for the next release, printed in silver plastic with painted details to mimic a vintage Kenner-era production. Expect more news about the release later this summer! 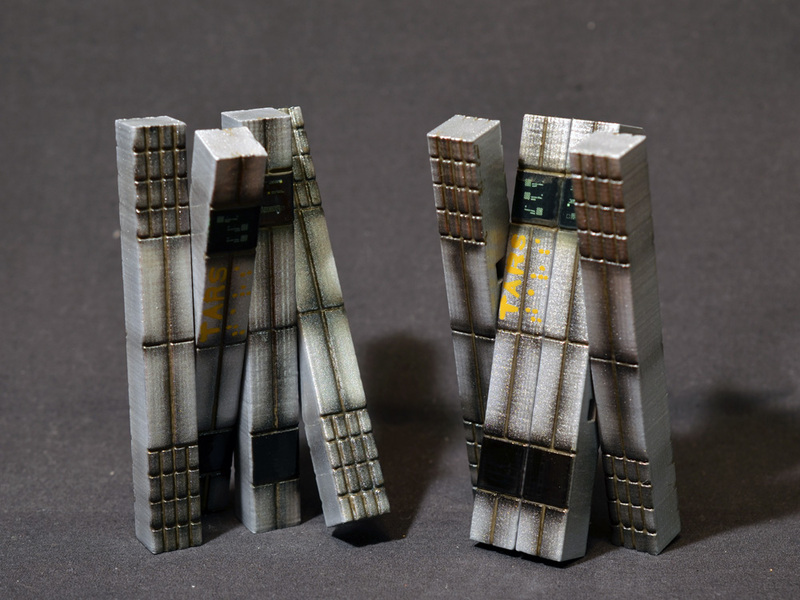 These two TARS were commissioned by private collectors after missing out on the first fully painted release. Both requested a cleaner TARS without the weathering, so they are bright and shiny, with just natural shading instead of a lot of washes and effects. 3D printed in ABS plastic and painted with Monster Kolor. 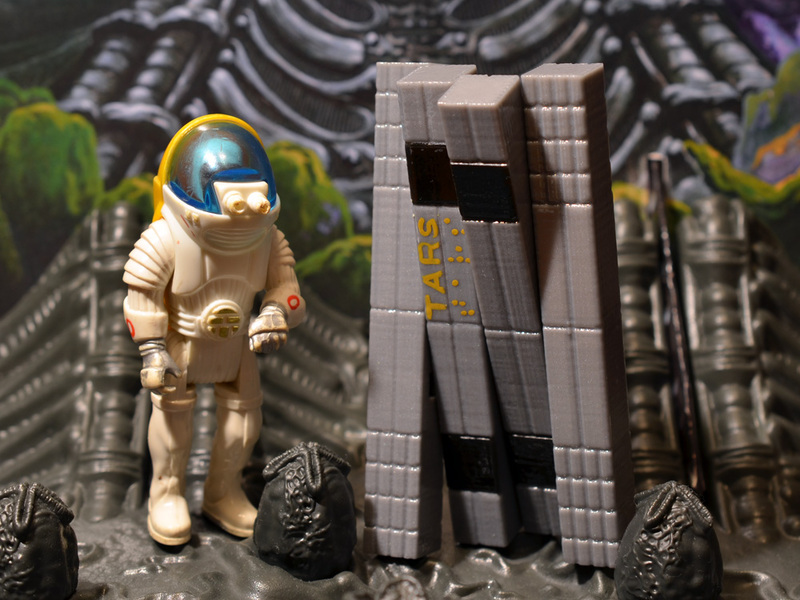 Head on over to http://www.monsterkolorstore.com/prhi/ at 8PM EST tonight to pick up a TARS. $25 each, 3D printed in ABS plastic, treated with acetone vapor, and painted with Monster Kolor! 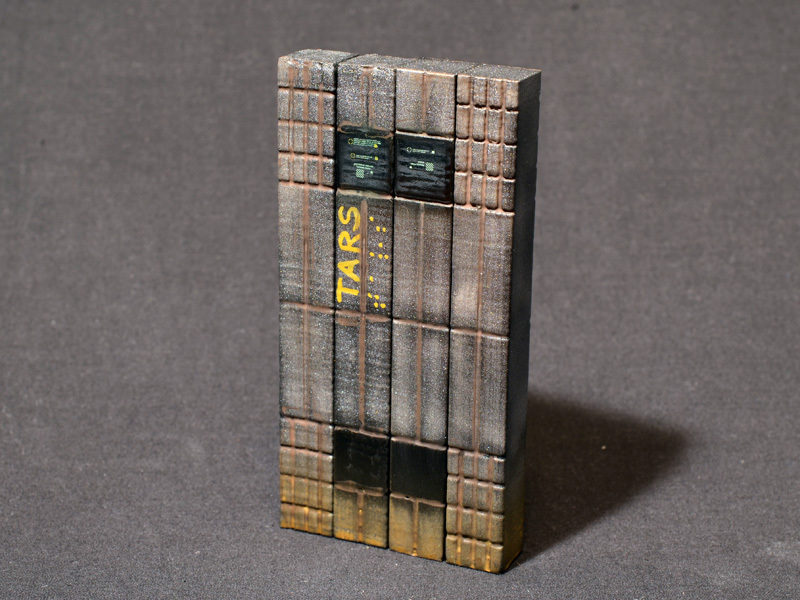 The TARS release details are all sorted out, so it’s time to let everyone know. 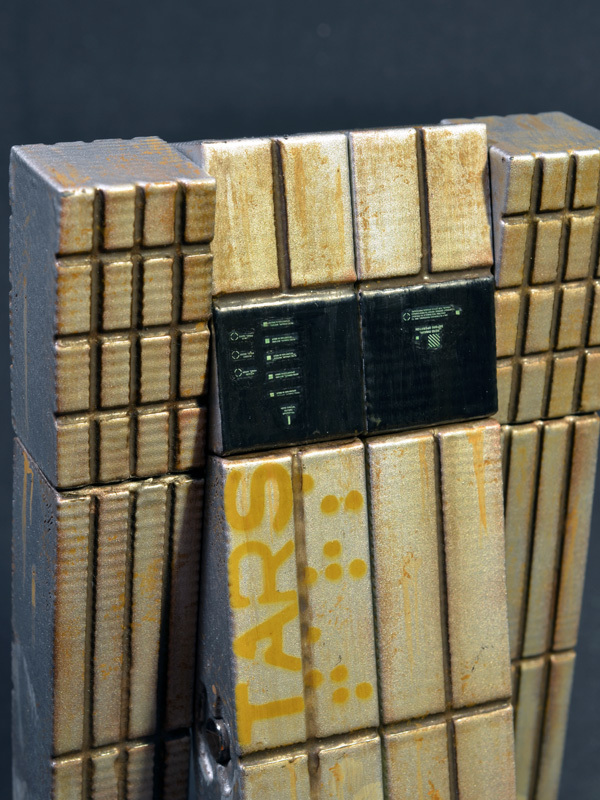 The PRHI 1/18 scale TARS figure will be available on Saturday April 25 at 8:00 PM EST. They will be $25. 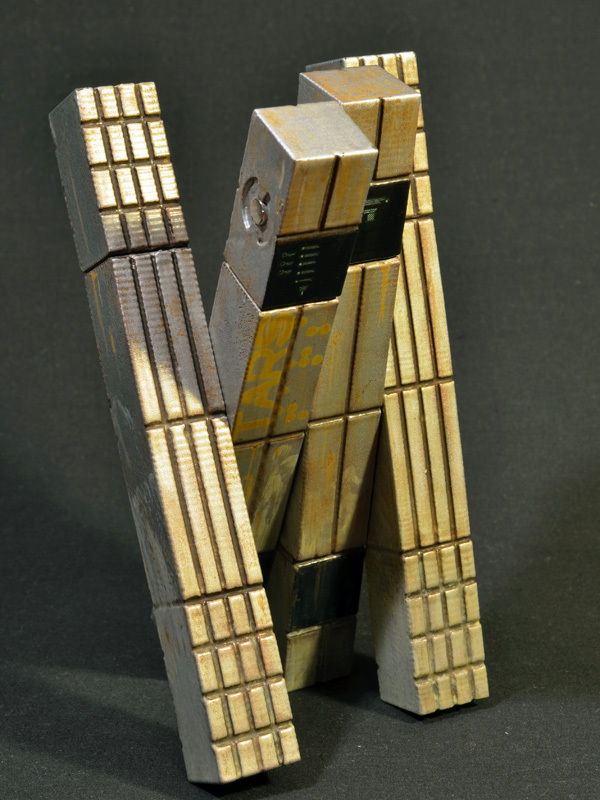 You can buy one from the PRHI section of the Monster Kolor Web Shop: http://www.monsterkolorstore.com/prhi/ Each PRHI TARS stands four inches tall and is 3D printed in ABS plastic. 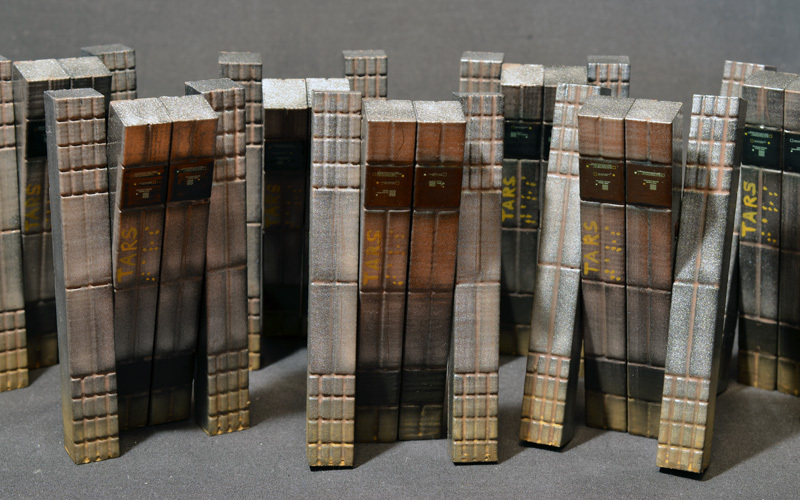 They have been treated with acetone vapor for surface finish and durability, and feature three points of articulation. Each one is painted with Monster Kolor, features unique display screen decals, and is realistically weathered with acrylics. 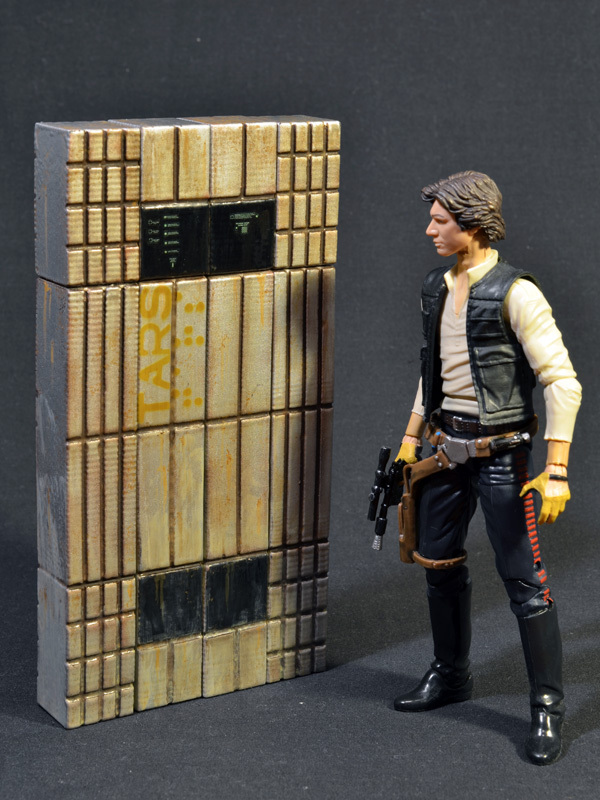 They are scaled to go with Kenner style or modern 3 3/4″ toys and are meant to be played with! These aren’t going to last long, so if you want one be sure to show up at 8:00! For now, here’s a pic of TARS meeting some of his fellow space-faring movie robots. Sorry for the crappy photo quality, but it was late when I took this and I wanted to show off this pic of my little TARS army as I put the final touches on them. Anyone who follows me on Twitter, Instagram, Tumblr, or Facebook (follow buttons on the left) has seen work-in-progress shots of these for a while now, but I know there are some people that just follow the site so I wanted to make sure they don’t miss out. 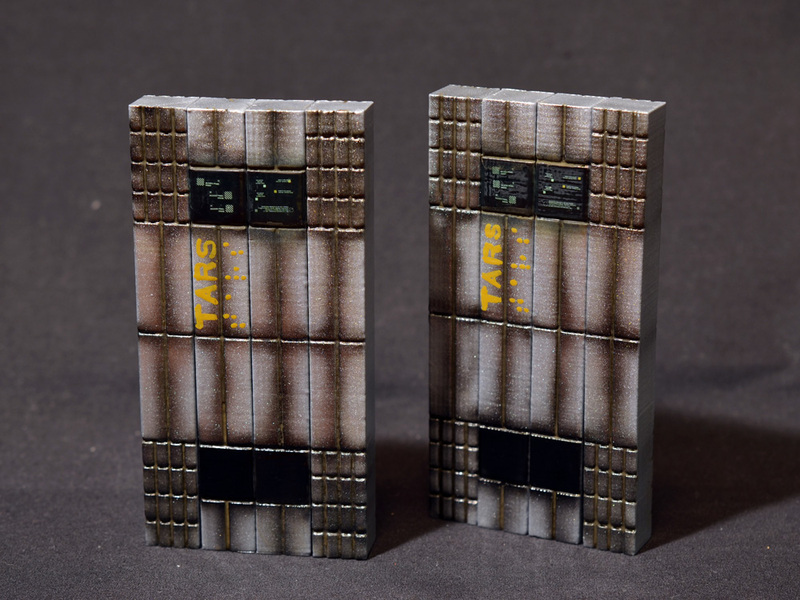 These are a 1/18 scale version of my TARS model, 3D printed, articulated at the middle, and painted with Monster Kolor metallics. They are just about done and will be available soon in the PRHI section of the Monster Kolor Store: http://www.monsterkolorstore.com/prhi/ I’ll post up a full gallery and release details when they are ready. 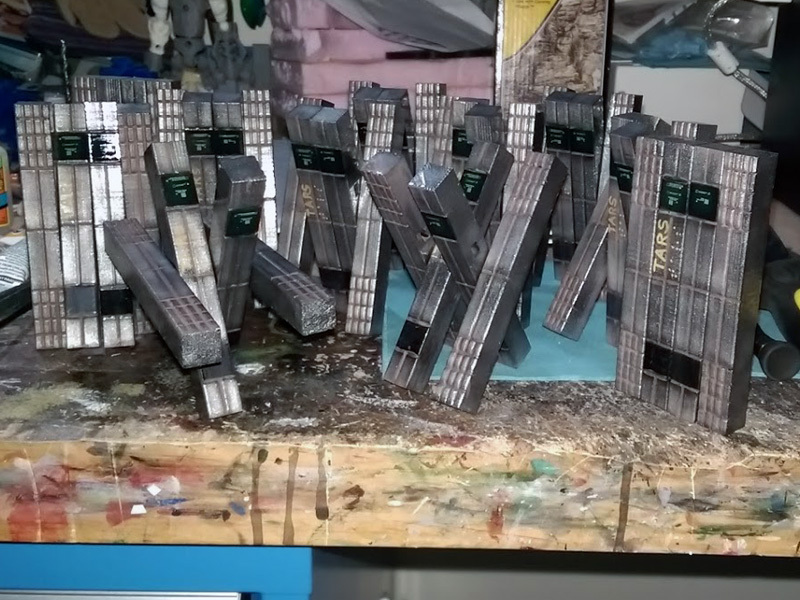 I’ve got a little more weathering to do, and then they’ll be ready to go.